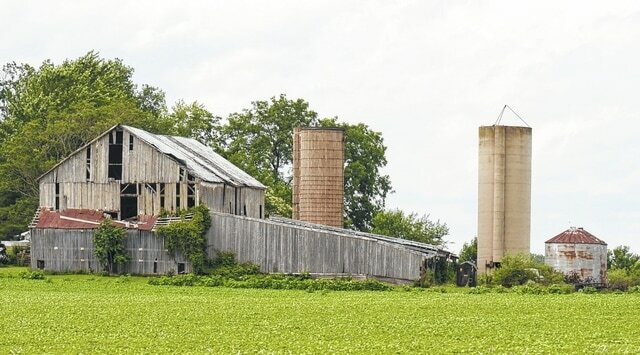 An old barn and silos stand baking in the sun off of Pisgah Road on Monday. A bright, hot day greeted Champaign County to begin the work week after a full week of rain soaked the area last week and over the weekend. Flooding has receded for now, but drivers should always heed warnings about roads closed due to flooding or damage caused by flooding.